Money Cost — cumulative waste of time both vertical and wide across organisations. Timing is more than the session its self. It is the cadence, total duration and the sequencing of sessions. 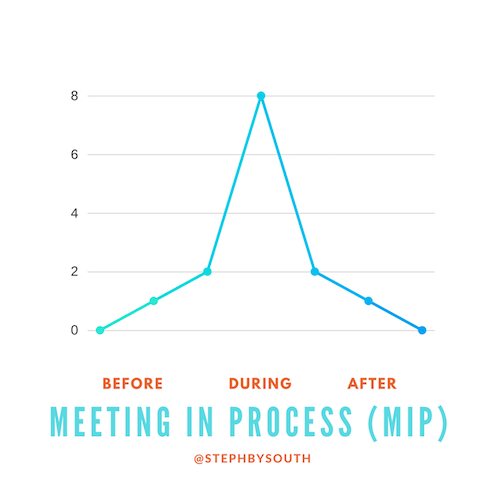 Meetings have a lifecycle; before, during and after. MIP — Meeting In Progress is a lot longer than just the time together. Often the further apart the meeting cadence the more preparation required. The longer the meeting duration and the more documentation after. Michael Mankins author of Time, Talent & Energy shares the Bain & Company insights from the ‘The Meeting Cost Study’. A great example of increasing meeting cadence and reducing meeting duration is the Ford Business Review Planning Sessions*. They were originally 5days every month and switched to 5 hrs every week. That’s an annual savings from 480hrs per person to 240hrs person. Most people balk at a 5 hr meeting but when you look at the total economic cost you easily see the optimised benefit. Limit the total cost of MIP by reducing preparation load and documentation lag. Structure isn’t a dirty word in agile — let’s get that out of the way, shall we! Structure is an enabler of clarity, concise conversation and commitment. Meetings benefit from the structure of agenda, activities, and attendance. 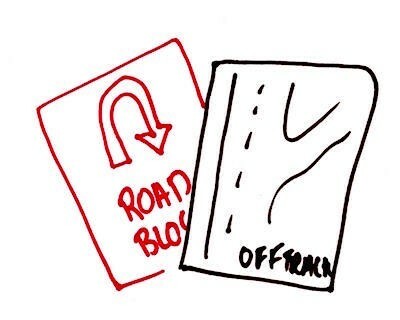 The best facilitation tools for good structure are ‘Meeting Kanban’ and ‘Meeting Canvas’. Use visual management to shape the structure and to reduces the engagement lag. The Communication element includes verbal, visual and behavioural factors. Each of these influence collaboration success. Unfortunately, we know too often that behaviour can derail all. It’s important to have independent facilitation using either tools, techniques or people. An example of a team tool is soccer behaviour cards. Orange and red to indicate if things go pair shape or off the agenda rails. Achievement is the pinnacle of why we actually meet — come together for a purpose. Yet the amount of meeting invites that miss a clear purpose is …phenomenal! It’s simple to include in invites or to start meetings with ‘we are here for the purpose of…’. Or is it the hardest thing to say because people don’t feel safe in their organisations? Shaping good achievement in your meetings depends on actions, decisions, and artifacts created. It’s all about the outcome you are there for.